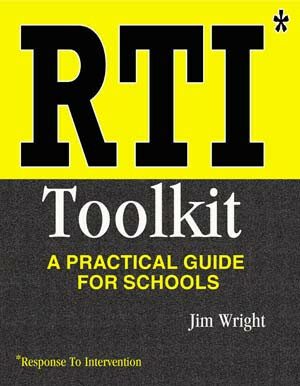 Jim Wright is a well known trainer and consultant to schools and organizations on a broad range of topics relating to school improvement. A certified school psychologist, he was a school administrator in central New York State for over 17 years. 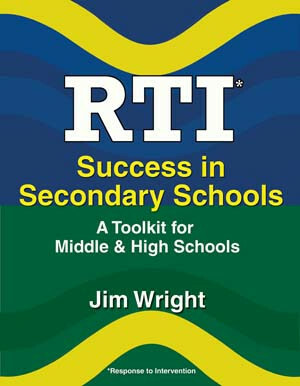 Wright's areas of expertise are Response to Intervention (RTI), the Common Core State Standards (CCSS), and academic/behavioral interventions and assessments for struggling students. He has worked with a variety of schools in New York and other parts of the country, helping them both to map out steps for improving their educational practices and to motivate their staff to support those positive changes. Wright is the creator of Intervention Central (www.interventioncentral.org), a popular website with free intervention and assessment resources for educators in grades K-12. 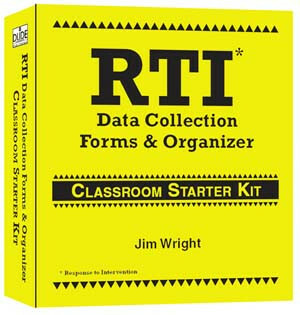 He is the author of the books Strategies for Struggling Learners in the Era of CCSS & RTI; RTI Toolkit: A Practical Guide for Schools; and RTI Success in Secondary Schools: A Toolkit for Middle and High Schools; as well as RTI Data Collection Forms & Organizer (Elementary & secondary versions) and the laminated reference guide, Managing Classroom Behaviors Using an RTI/MTSS Framework, all published by National Professional Resources, Inc./Dude Publishing. 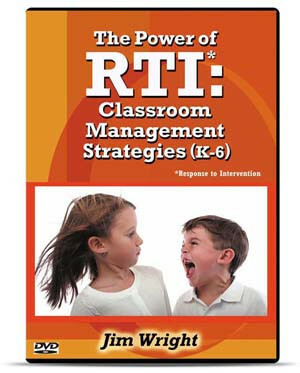 He is also the featured presenter on the video, The Power of RTI: Classroom Management Strategies.